Unlimited artistry! Color and highlight for dimensional statement cheeks. 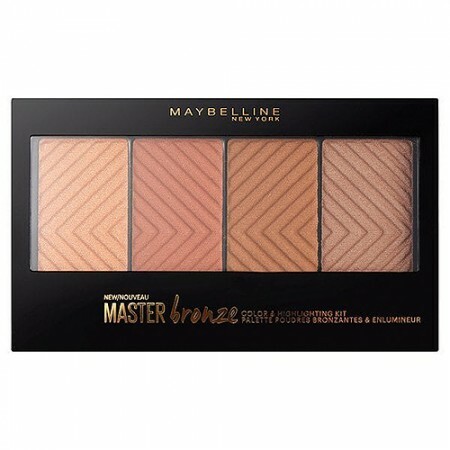 Master Bronze helps you curate your own colour or use shades individually depending on you look. 3 Shimmering Bronze shades and a universal highlighter for the ultimate blushed cheek for every skin tone. Step 1. Apply. Tip: Use shades alone or mix & match shades to create your own look. G997595 INGREDIENTS: TALC, SYNTHETIC FLUORPHLOGOPITE, OCTYLDODECYL STEAROYL STEARATE, MAGNESIUM MYRISTATE, PENTAERYTHRITYL TETRAISOSTEARATE, NYLON-12, STEARYL DIMETHICONE, ALUMINUM STARCH OCTENYLSUCCINATE, SILICA, CAPRYLYL GLYCOL, DIISOSTEARYL MALATE, CALCIUM SODIUM BOROSILICATE, DIMETHICONE, DEHYDROACETIC ACID, OCTADECENE, PHENOXYETHANOL, HEXYLENE GLYCOL, AQUA / WATER, PENTAERYTHRITYL TETRA-DI-T-BUTYL HYDROXYHYDROCINNAMATE, STEARIC ACID, MALTODEXTRIN, PALMITIC ACID, TIN OXIDE, LAURIC ACID [+/- MAY CONTAIN: MICA, CI 77491, CI 77492, CI 77499 / IRON OXIDES, CI 77891 / TITANIUM DIOXIDE, CI 77713 / MAGNESIUM CARBONATE, CI 15850 / RED 7 LAKE, CI 77007 / ULTRAMARINES, CI 75470 / CARMINE] F.I.L. D197184/1.